In the words of Walt Disney, “Disneyland will never be completed. It will continue to grow as long as there is imagination left in the world.” I believe this is true for Walt Disney World as well. And in the past few days, that sentiment has proved true once again with the big announcements about some fun new things on the horizon for both parks. And, while some folks will feel sadness because this will mean change, and even removal, of some beloved areas of both parks… remember that this is truly part of Walt Disney’s dream. So let’s have a look at some of the big happenings on the horizon of a ‘great big beautiful tomorrow’. 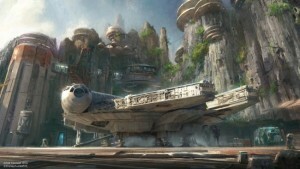 For the Star Wars fans, there is going to be some real excitement with the addition of a Star Wars ‘land’ in both Disneyland park in Anaheim as well as Disney’s Hollywood Studios in Walt Disney World in Orlando. This huge project will put guests right in the middle of their favorite Star Wars scenes and immerse them in a true ‘feel’ of all that the movies entail. And while they haven’t been officially announced yet, I would guess that there will also be some fun Star Wars themed dining options added as well. May the force be with you! For those who prefer the animated side of Disney, you haven’t been left out! 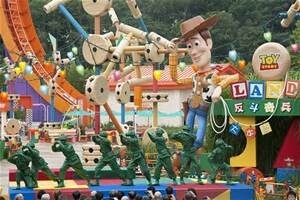 It was also announced that a Toy Story themed ‘land’ will be added in Disney’s Hollywood Studios. This will be in the same area as the Toy Story Midway Mania attraction and will put guests in the middle of a backyard world built by Andy. Two new attractions will be built. An alien saucers attraction will feature the little green aliens from the film’s claw ride taking guests “around for a spin in their very own flying saucers.” A family-friendly roller coaster will “zip and zoom, plunge and coast as it takes guests on a thrilling, toy-filling adventure throughout the new land on the back of Slinky Dog.” Again, I foresee new dining options being included in this new ‘land’. And Toy Story Midway Mania will also be adding a third set of rails to take guests through the attraction. This will definitely help to alleviate the continual congestion in this ride. Another addition to Walt Disney World Resort is a new dining location in the Magic Kingdom. 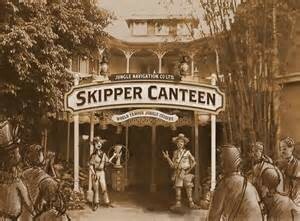 Jungle Cruise Navigation Co. Skipper Canteen is in the works for the Adventureland area near the Jungle Cruise. I’m super excited for another dining option in the Magic Kingdom! Here’s what we know: offering “World Famous Jungle Cuisine,” the Skipper Canteen will feature several different dining rooms such as a Crew Mess Hall, and even a “once-hidden secret meeting room” of the Society of Explorers and Adventurers. This is definitely a much needed addition. And finally, let’s not forget the addition of Avatar Land in the Animal Kingdom. This is currently under construction and will immerse guests in the land of Avatar,based on the movie by James Cameron. Another “immersion” land, Avatar will include attractions, dining, and shopping opportunities. Slated to open in 2016, this will be a huge addition to Animal Kingdom and will delight guests of all ages. I’m certain! WHEW! That’s a lot of happenings! And I know there will be more changes announced in the coming months. Walt Disney’s vision of continual refinement lives on! Of course, it’s fitting to celebrate these changes by remembering fondly the attractions of days gone by while we embrace the innovation that will continue to keep Disney parks current and alive for decades to come…with a trip to a Disney destination ; >) Remember to get with your favorite travel pixie to plan your own vacation so you can celebrate all the fun new things happening at Disney Parks!